WPS Management provides purchasing solutions and procurement services from a single source. We are the central contact for your challenges in indirect purchasing. Our partner network is made up of the best-in-class solution providers. Together, we offer our customers worldwide solutions and services of the highest quality. Our common goal is to optimally support you with a package that solves your purchasing challenges best. We offer companies purchasing solutions and procurement services from a single source. Thereby we rely specifically on the market’s best suppliers and consolidate sales and marketing. The focus of our partnership models is to have a common consensus and to meet customer requirements to the fullest extent. If required, the respective solution can be operated centrally via WPS Management. In the SAP environment, WALLMEDIEN’s solutions form a standard in electronic procurement. WALLMEDIEN develops and operates concepts for the automation of processes in operational and strategic purchasing. Tailored solutions are implemented on the basis of standard software for bidding, auctions, procure-to-pay processes, document exchange, supplier portals, etc. WALLMEDIEN solutions are in use worldwide. Customers include internationally operating companies as well as successful medium-sized businesses. We target to develop intuitive e-procurement applications for connecting buyers and suppliers in the best commercial and technical way, especially in times of rising complexity and increasing requirements in indirect purchasing..
Based on the experience we have gained from many international large-scale projects we identified two central challenges in today’s purchasing: optimal supplier integration and content preparation on the basis of specific KPIs and the company’s strategy. 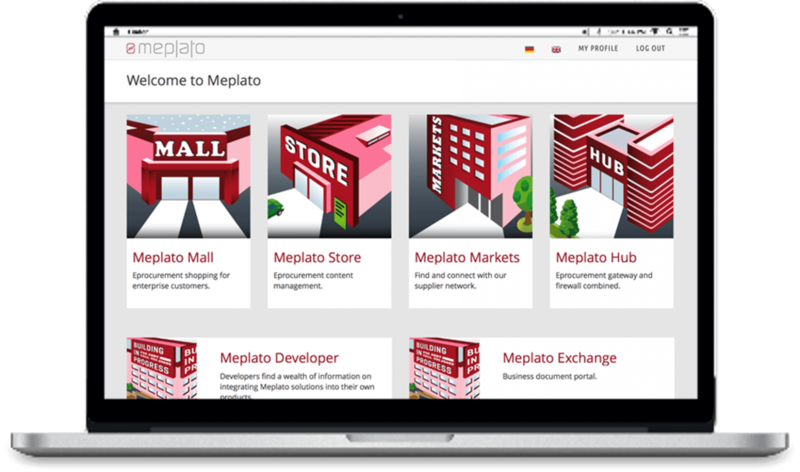 Whether the own corporate catalog cloud, the connection of webshops and marketplaces or the integration of requests and service providers. We have the tools that help companies realize their procurement strategy and that help suppliers connect in the best possible way to today’s procurement systems. Allocation Network is your expert for software solutions and services in strategic purchasing. 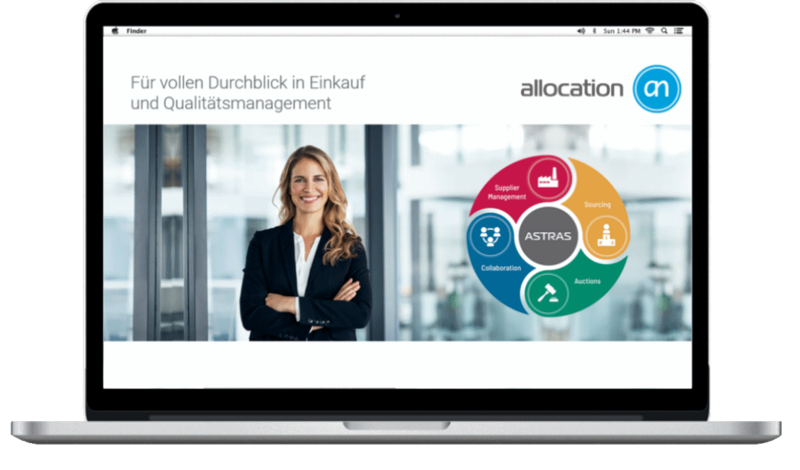 With its modules for supplier management, e-sourcing, e-auction and collaboration, you increase your productivity throughout the entire procurement process and reduce your process and purchase costs in purchasing. ASTRAS (Allocation STRAtegic e-Sourcing) is an integrated supplier portal and tendering system that meets the most demanding requirements. The award-winning, ERP integrable software “Made in Germany” can be customized and operated as SaaS or on-premises. 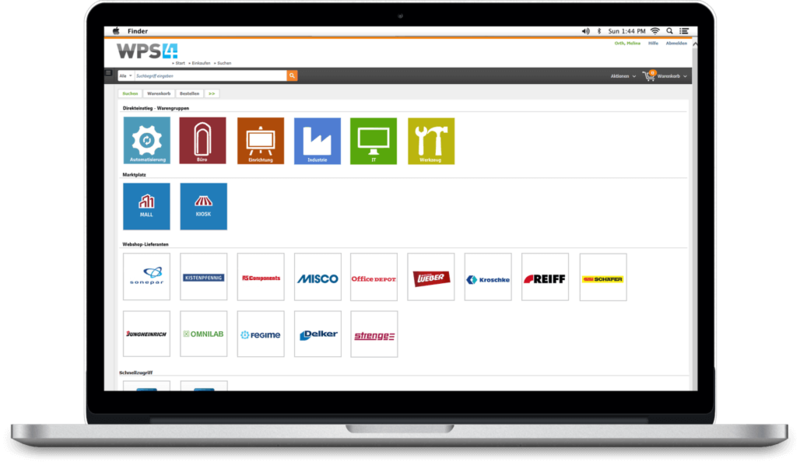 Companies like BMW, Brose, Dräxlmaier, Georg Fischer, MAGNA, Münchener Rück, Mubea, Stadtwerke München, VOITH use the software on an international level, across material groups and industries. Cooperation is a success booster. WPS Management cooperates with companies that share our vision and values of tomorrow’s procurement. We are constantly looking for trendsetters and new strategic cooperation opportunities. Let’s get together and talk.